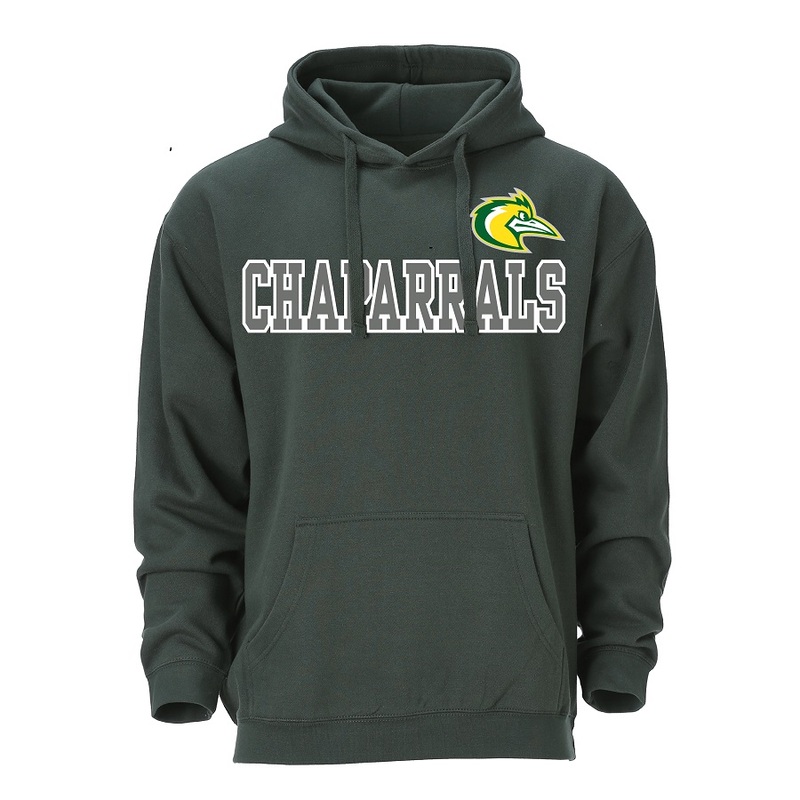 Classic style hoodie with Chaparral text and logo. Available in sizes small through 3XL, Hunter Green or Black. Black hoodie featuring green Midland College text. Available in sizes small through 2XL. Specify size in the NOTES when ordering. 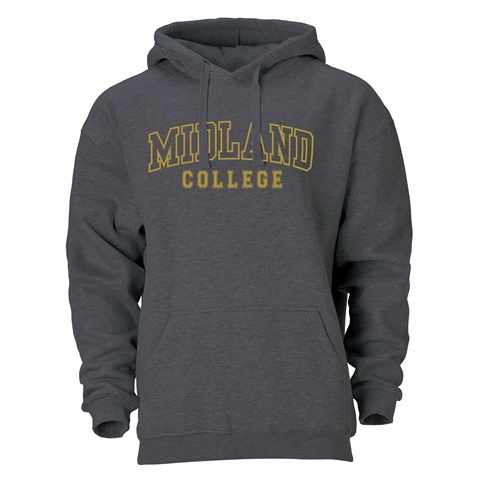 Grey hoodies featuring Midland College in yellow text. Available in sizes small through 3XL. Specify size in the NOTES when ordering. 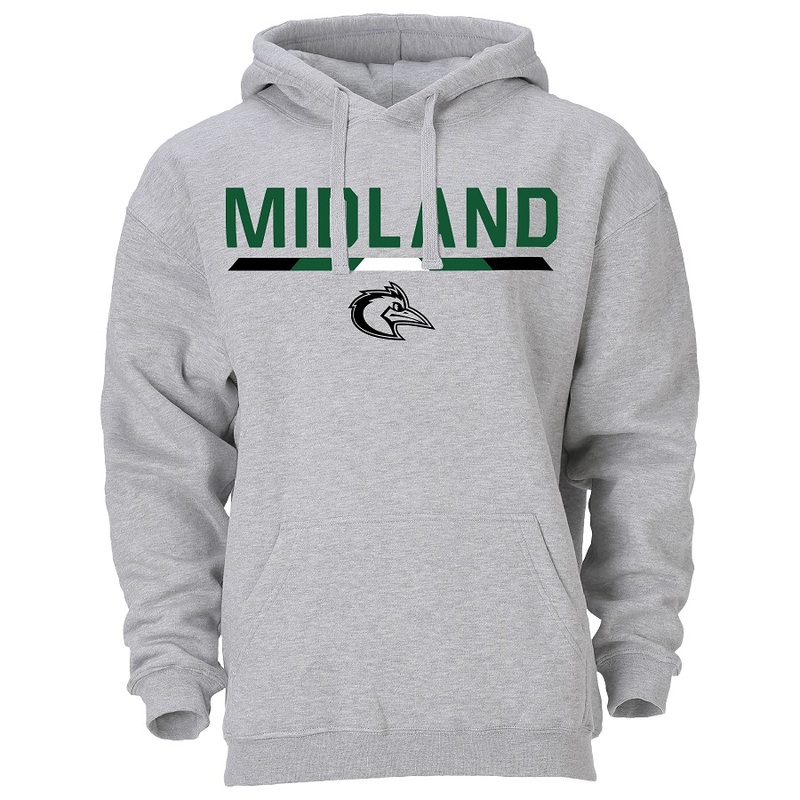 A light grey hoodie featuring the Midland College chaparral and the word "Midland." Available in sizes small through 2XL. Specify size in the NOTES when ordering.